A couple of years ago I really struggled with reading. I rarely found a book that I connected to. I didn’t really know much about the different genres. 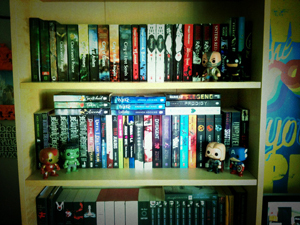 I didn’t have a favourite author. I didn’t have a clue what I liked to read. 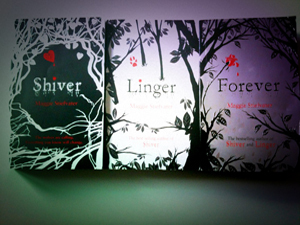 I discovered YA after reading SHIVER, LINGER & FOREVER by Maggie Stiefvater, and I haven’t looked back since. I now get so much pleasure from books and can hardly keep up with everything I want to read. I read and enjoy books everyday, and developed such passion for them that I wrote my own—which led to signing with an agent, and then to a book deal. I am so happy that I got to meet the author that started me on this path. Maggie Stiefvater is an incredibly talented writer and tells the most unique, gripping stories. I arrived at Waterstones at 12:45pm for the 1:00pm signing with my friend and my partner. We were about halfway along the queue and spent around an hour in there. I bought an extra copy of THE RAVEN BOYS in-store for the signing, but also took LAMENT, BALLAD, SHIVER, LINGER, FOREVER, THE SCORPIO RACES, and my own copy of THE RAVEN BOYS. 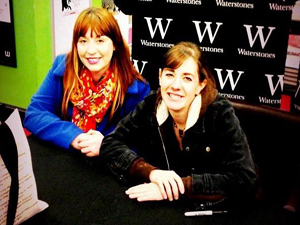 We had a lovely chat while my books were being signed. 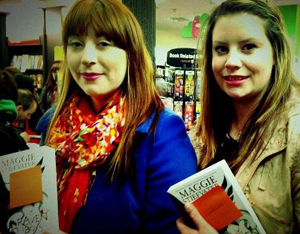 Then I had a quick photo with Maggie and thanked her. Next Post Secret Project Reveal!